Atsede Baysa (right) is one of six former champions competing in Boston this year. This year will be the 121st running of the Boston Marathon. Last year’s champions, Atsede Baysa and Lemi Berhanu Hayle, will be back in Boston to defend their titles. 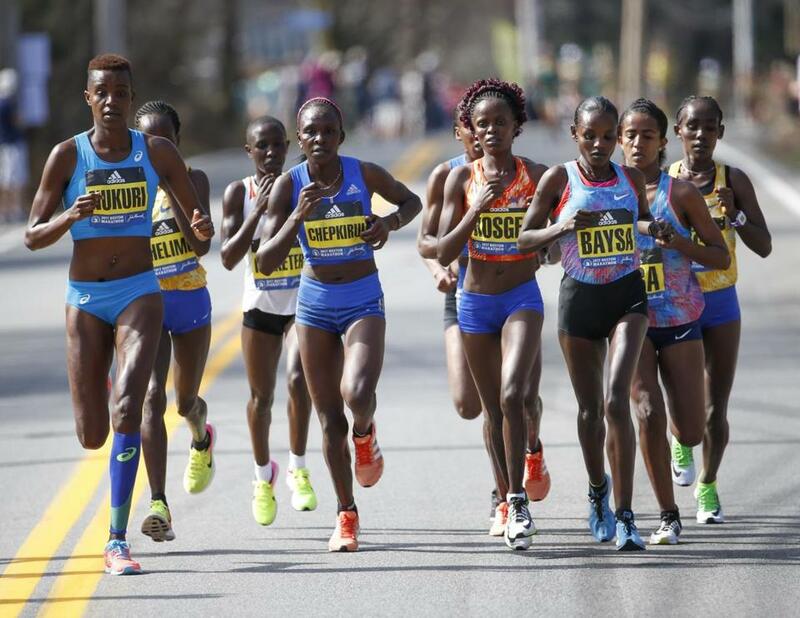 Other past champions in this year’s field include Caroline Rotich of Kenya, Buzunesh Deba of Ethiopia, Meb Keflezighi of the United States, and Wesley Korir of Kenya. The field also includes 16 Olympians and 14 top US runners will also compete in this year’s race. Read more about the elite field here. Follow Rachel G. Bowers on Twitter @RachelGBowers.